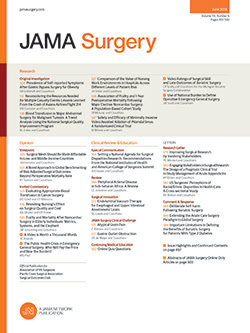 • A blinded prospective study of 34 patients with colorectal adenocarcinoma using the FabI fragment of the anticarcinoembryonic antigen monoclonal antibody type IMMU-4 labeled with technetium 99m was conducted to compare, on a lesion-by-lesion basis, the findings of radioimmunoscintigraphy, preoperative computed tomography, and exploratory celiotomy. Of 115 lesions detected at surgery, 113 were adenocarcinoma. Radioimmunoscintigraphy detected 59 lesions and computed tomography detected 62; both studies combined detected 72. Twenty-nine (54%) lesions missed by radioimmunoscintigraphy and 24 (45%) missed by computed tomography were 1 cm or smaller. When both studies were combined, the sensitivities were 90%, 24%, and 42%, and the specificities were 52%, 86%, and 61% for hepatic, extrahepatic intra-abdominal, and pelvic lesions, respectively. In 10 patients, additional information obtained with the radioimmunoscintigram could have altered the treatment of these patients. In this study, radioimmunodetection scan was complementary to computed tomographic scan in the examination of patients with colorectal carcinoma.